As a car driver who drives vans, I like a van that feels car like & is equipped similarly & in the Transporter I could well have found my perfect match. 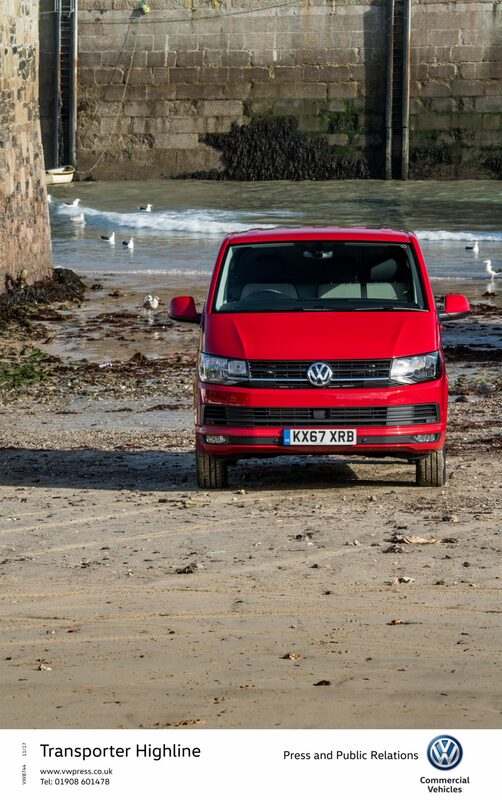 With the majority of changes to the T6 being under the bonnet, the outside design of the latest Transporter is a little unadventurous- it’s hard to tell what’s different from the previous model- it serves a purpose & is still clearly a Volkswagen. 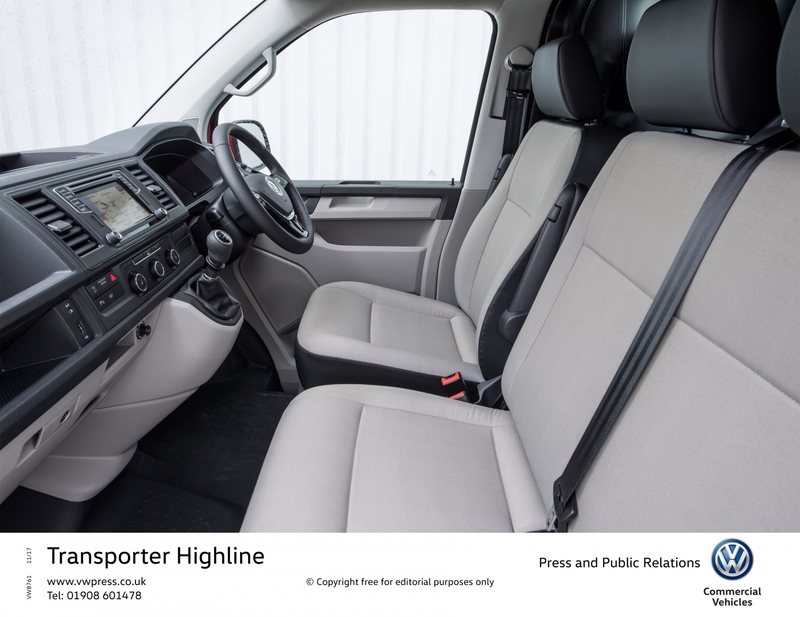 The interior, although a little bland, is made of top notch plastics, with the dash & cloth finished in ‘Classic Grey.’ But, all of the instrumentation is first class & the dashboard, doors, seats & roof are of incredibly good quality plastics & fabric. Don’t be fooled though. Very much like the Volkswagen Passat, the Transporter may not look fantastic but trust me this is not an important factor when you drive it. Just like their cars, the build quality is excellent & with an instantly recognisable Volkswagen switch gear & dash board layout. Nice touches include the separate driver & passenger drinks holder on the dash & storage space under the front seats. Even my son knew it was a Volkswagen, when he got in it as the dash looks like our old Mk6 Golf. The instrumentation is clear & the trip computer keeps the driver aware of fuel consumption, distance driven & how many miles are left in the tank. Start up the engine & pull away & the Transporter doesn’t disappoint. The steering is remarkably light & after a few minutes you realise that it’s very easy to drive & manoeuvre. In fact, it’s just like driving a large car & for any regular van driver that has to be good thing. A real plus for me as well, is that unlike other van’s I’ve driven, it’s a van that drives just as well unladen as when it’s fully loaded, not an easy trick to pull off. It’s also better equipped than it’s predecessor, with ABS, EDL, EBD & ESP fired to my model. There’s also a driver alert system & traction control with hill hold offered as standard. Add in remote central locking with deadlocks, electronic immobiliser, driver & passenger airbags & daytime running lights & the car-like comparisons are well founded. The load space is the same as on the previous Transporter. 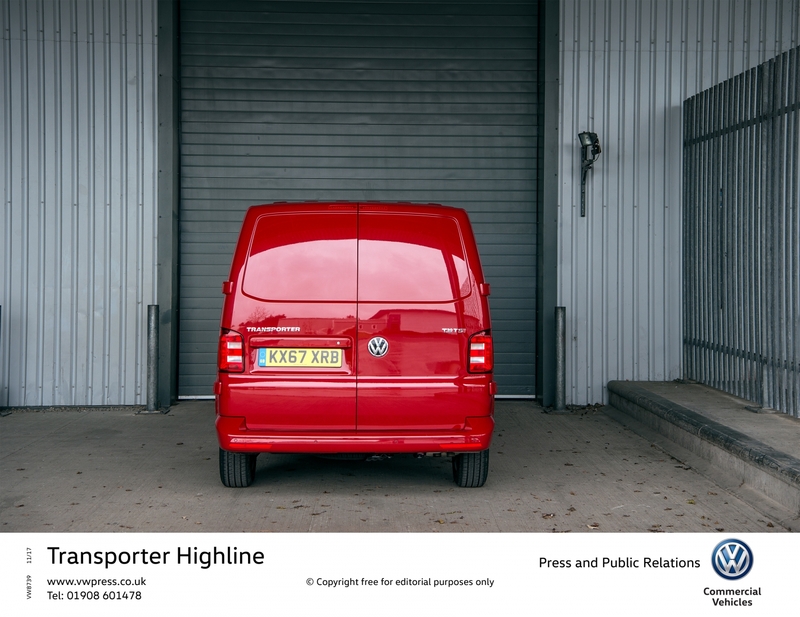 The loading height of the van is an accessible 571 mm, while the loading length is 2970 mm. Between the wheel arches is 1244 mm widening to 1692 mm in the remainder of the van. Load height is 1470 mm & there’s also a useful side door for easier access. The 2 litre engine rewards the driver who is careful with a combined fuel consumption of 45.6 mpg- in truth I averaged 31.8 mpg- with emissions of 162g/km. 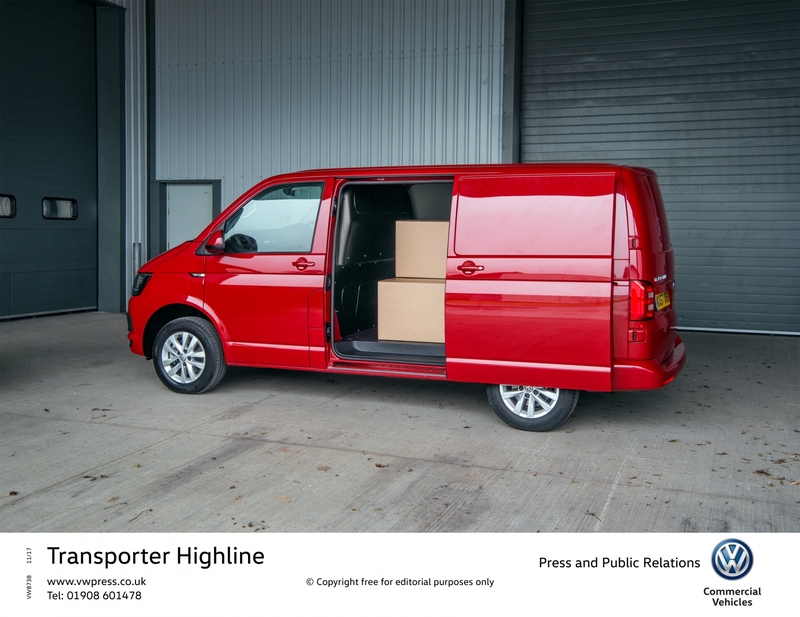 A torque of 340Nm & maximum power is 140PS at 3,500 rpm.The loading height of the van is an accessible 571 mm, while the loading length is 2970 mm. Between the wheel arches is 1244 mm widening to 1692 mm in the remainder of the van. Load height is 1470 mm & there’s also a useful side door for easier access. Loading & unloading the bath, shower tray etc.. was a doddle. The rear load area is easily accessible & the rear doors open easily. None of my stuff moved at all on the return journey thanks I think to the rubber floor. Are there any negatives ? Well it’s not fast, taking 12.2 seconds to hit 62 mph from a standing start. Other than that, no there aren’t, although it’s not the cheapest van you can buy. My test van with standard equipment starts at at £32,639 OTR, but as the saying goes, you get what you pay for & with the Transporter you get a seriously good van. Drive one & tell me if I’m wrong 4/5.